So nobody falls off the edge because we're all in a massive snow globe. Pretty convincing stuff. Flat-Earthers are not known for their logic. They're generally known for their willingness to ignore the facts, and their dank memes. When it comes to explaining the logical flaws in their arguments, however, they tend to fall a little, well, flat. If you ignore all the planetary evidence that points to the Earth being round, the countless experiments you can do at home, or even the photos taken from space, there's still one major flaw in their argument that needs explaining. Basically, if the world is flat, why on Earth is the Internet not filled with news stories about people falling off the edge of it to their deaths? Pretty dank meme there, Flatty. 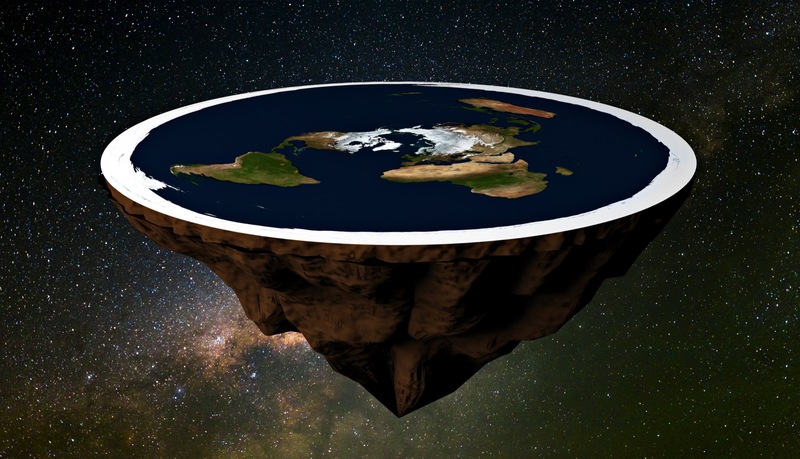 Well, now one prominent flat-Earther, Connor Murphy, has revealed why this doesn't happen. He's concluded the Earth is in fact round. Just kidding. Murphy has concluded that there is no edge at all. "Fall off into what, do you know what I’m saying? There’s no edge. This is a misconception," Murphy told Unilad. "The way we see it is it’s an enclosed system. There’s water above, there’s the firmament – or the dome – and there’s water above it and water below it and there’s no leaving it, there’s no anti-gravity allowing us to float around and find other Suns and stuff." "His widow told IFLScience that she won't mourn for someone who would do something so idiotic". IFLScience. In the interview, Murphy went on to accuse NASA of covering up that the Earth was flat in order to make more money, before contradicting his earlier view that we don't fall off because we're in a dome. "Basically if you can imagine the globe squashed down with Antarctica instead of being its own continent, being the perimeter around the side. So a lot of people say that’s an ice wall. It’s more like a shelf or cliff." So the reason why we don't fall off is because of the big ice wall (here be dragons? ), and if you get past that you hit the dome. Makes you feel so safe.